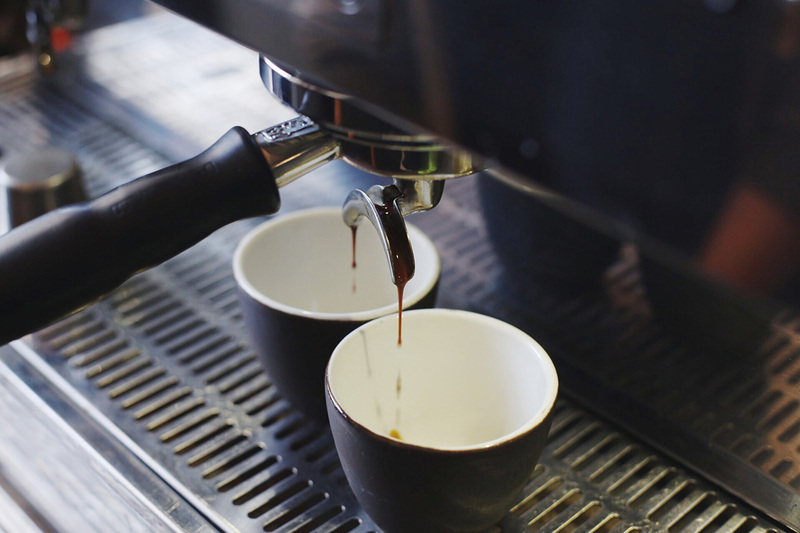 Synesso, Slayer, Kees Van Der Westen etc – these guys are simple to understand from a programming point of view, but can be a little finicky to get exactly right volumetrics wise. The majority of machines will be programmed like this below – give us a call if you can’t work out for your specific model. There’re a two important things you need to know when going down this rabbit hole. Firstly – the left group is the boss. It is where you’ll navigate the menu for all groups and it will transfer the new volume in pulses to the other groups. This is important because the second thing you need to know is that the same amount of pulses won’t always deliver the same amount of water. The machines are engineered well, but wear and tear or slight manufacturing differences may result in different water volumes with the same amount of pulses. This may seem disastrous but it’s not – all we need to do is adjust the amount of pulses per group if this is the case. So – the conclusion that we can draw from this is program the left group first, then check the others. If they’re right, happy days! If they’re not, we’re going to readjust the volumes just on the errant group to match the others.So, how do we do all this? Read on! On the left group, you need to hold down the swirly button for about 5 seconds. This will make all the lights on the groups flash, signifying the machine is in program mode. Be careful – bumping the wrong button will reset it and you’ll have to start all over! Dose your handle – make sure your grinder is running spot on! We want to have our dose accurate to +-0.1g when setting this up, with our shots running to +-2 seconds of your target. Insert the handle into the group, double check the lights are still flashing and run a shot with the button you’re trying to program. Your scales will lag a bit so you may have to stop the shot slightly early – if you’re aiming for a 36g yield cutting the shot at 34g should give you what you’re aiming for. If you got it right first go – awesome! If not give it another shot. We’re looking for our yields to be within a 1g variance from the recipe. Check your other groups. The fastest way to do this is taring that cup off again and weighing the brew water. Write it down. Then check the other groups – we want the brew water weight to be within +-1.5g of each other. Make sure you do this without the handle in to ensure all the water ends up where you can see it. If they’re right, happy days! If they’re not, repeat steps 1-7 with the volumetric button on the group that is wrong. This will reset that button only!